The PreSonus Tom Brechtlein Drums Vol. 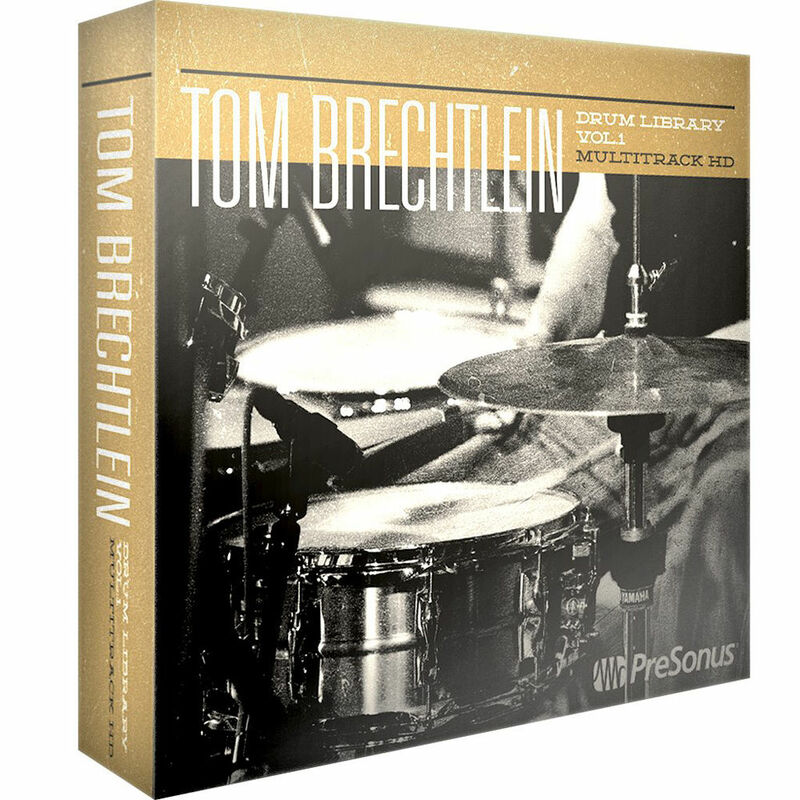 1 - Multitrack Edition features 5.4GB of stereo and multitrack loops, one-shot samples, and multilayer Impact instruments performed by veteran drummer Tom Brechtlein in a variety of styles well suited for rock, fusion, jazz, blues, and funk. The library includes double drum kit loops that can be mixed and matched for endless combinations. The beats and grooves played by Tom include several of his signature techniques. The session was recorded in Presonus' River City Studio, built and designed by Walter Storyk Design Group, which provides remarkable acoustics. Thoughtful editing of the drum library results in intros and fill patters that naturally flow into the groove, while cymbal and toms carry over a loop start point to create a more nuanced and natural aesthetic. Count offs have also been left in many of the Intros to allow greater flexibility in creating pickup beats without adding hours of frustration spent trying to properly place them on the right beat. The PreSonus Tom Brechtlein Drums library is compatible with Studio One Prime, Artist, and Professional (version 3.5.5 and later).